UNLEASHED Dog Adventures – Your dog is your friend, your companion, your protector. You are their life, their love, their leader. They will be yours, faithful and true, to the last beat of their heart. They deserve the best! 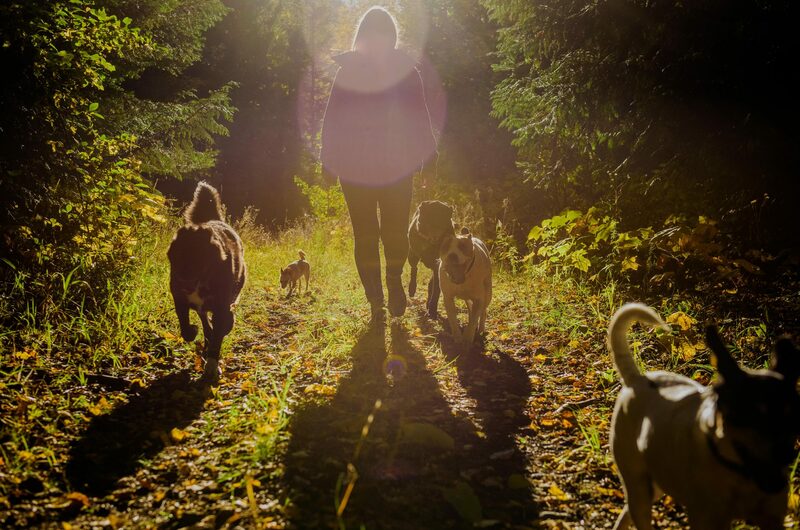 Unleashed Dog Adventures has been specializing in off-leash adventure hikes and in-home dog boarding in the beautiful west kootenays for over 9 years and is passionate about offering you and your loved ones the best care possible. We absolutely adore dogs, they are our everything! When dogs are out on adventures with Unleashed, they will be loved, cared for and respected as if they were one of our own. They will run and play through the mountains and fields, chasing each other along beaches and through forests. We keep our groups small so that your best friend gets the love and attention that they are accustomed to and deserve. Our priorities at Unleashed are simple… socialization, physical fun and safety. We look forward to meeting with you and helping you give your dog the best life possible! Please contact us if you are in need of dog walking in Salmo, Fruitvale, Ymir, Nelson, Warfield, Rossland, Castlegar or Trail.